The question is intriguing in part because it is a question about the capability of language in principle, not in fact. 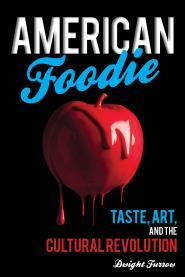 The current language we use to talk about food is woefully inadequate to express taste sensations. But the question is whether language, if we paid sufficient attention to it over time, could “truly express” taste sensations. I’m not quite sure what “truly express” means. At one limit, it could mean the sensory description is so clear and precise that one could fully understand what it is like to have the sensation merely by grasping the meaning of the words. But that is absurd. Words cannot be a substitute for experience. The quality of a sensation can only be felt—“knowing what it is like” via language without having the experience is a poor substitute. There is a felt quality to sensation that language cannot express. What we need language for is to direct the attention of the listener so she can share in the experience. For this, speakers must use words that successfully and unambiguously refer to the qualities of a sensation so the hearer can pick out that quality from her own experience. Words can’t fully describe an experience but they must provoke an experience in the listener. Thus, sometimes simple descriptions can be powerful if they give the listener something unambiguous to latch onto and use to direct her attention; and sometimes poetic language can be powerful because it encourages a listener to search for meaning in her experience, and in the process discover something she had never noticed before. When it comes to talking about sensations, the descriptive function of language serves a referential function.